This winter, I really wasn’t liking the way my hair was looking. I decided to have a consultation at Lush (which I highly recommend you go in and do as that way you can find products that are perfect for you) and I now have a whole haircare routine! My hair is looking SO much better and feeling healthier! Here are the products I have been using and loving! 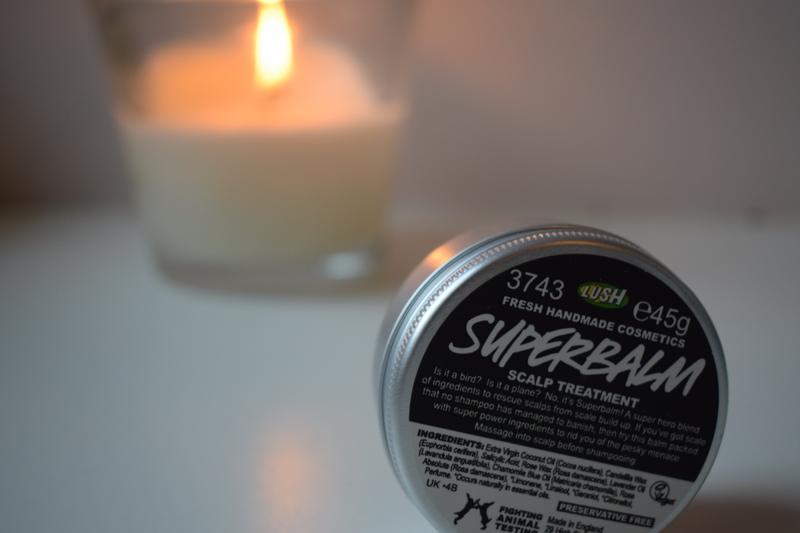 For the first time this winter, my scalp has been feeling particularly dry. When I used this shampoo, I immediately noticed the difference. 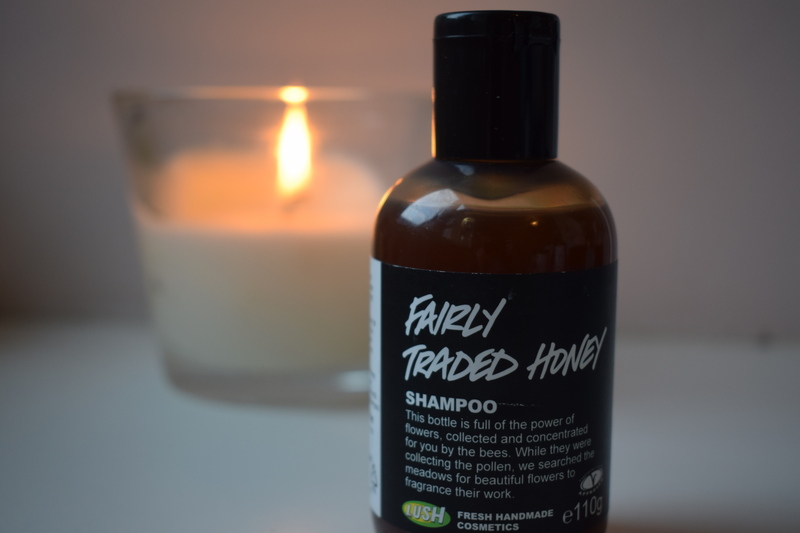 The honey in this is super moisteurising and the antibacterial quality gives my hair a great cleanse! The calming ingredients including beeswax and rose absolute worked at calming my scalp and the bergamot and neroli left my hair smelling beautifully fresh! 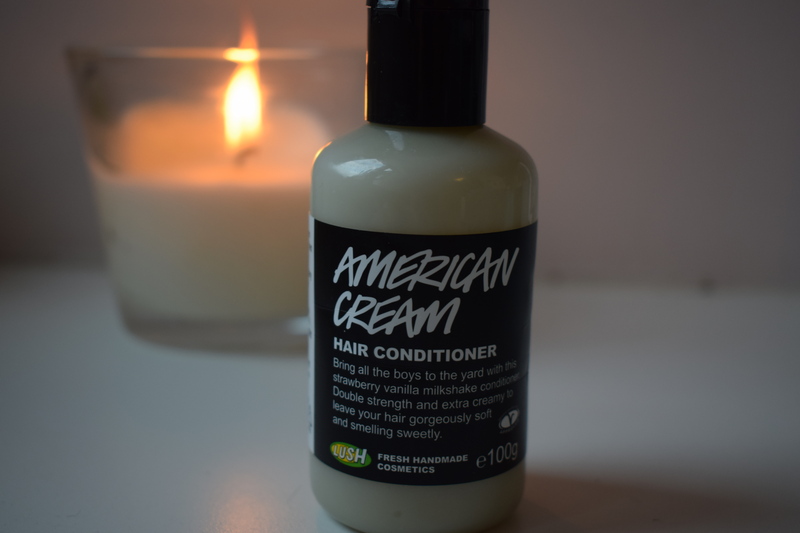 Lush describes this conditioner as a “milkshake-thick” and it really is like a milkshake in a bottle! With fresh strawberries and vanilla pod infusion, it leaves my hair smelling A-M-A-Z-I-N-G and the fresh organic orange juice, leaves my hair looking shiny! If you have dry hair DEFO give this a try! This little tin has been a lifesaver for my (previously!) dry scalp. This product is packed with oils and wax to put back that moister and the chamomile blue oil and lavender calm it down. You apply it directly to the scalp, and I leave it on for twenty minutes before washing it out. I have only needed to use it once so far, as it has literally worked wonders! 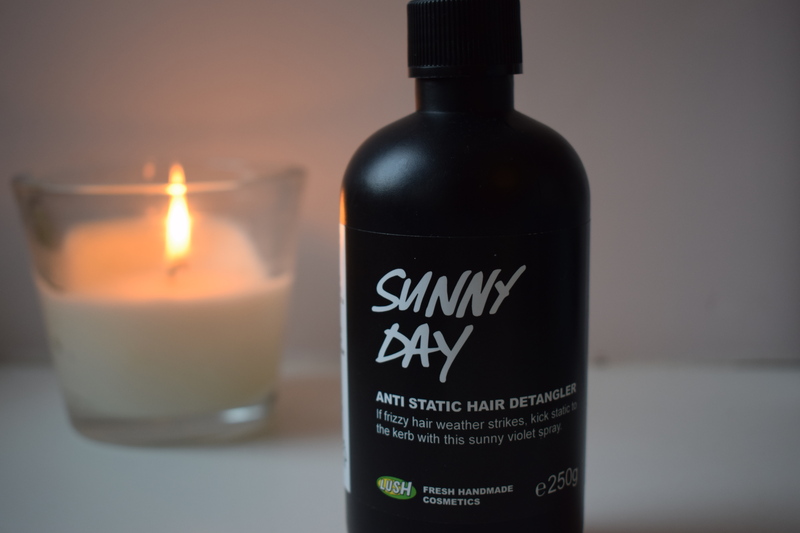 This treatment is perfect for my dry hair by adding shine and helping to tame the frizz. Don’t be scared off by the red henna infusion… it won’t make your hair look like you’re Ariel from The Little Mermaid or Sharon Osbourne! It will will add a thin coating to your hair leaving it looking super shiny! The oils in this product will add weight to your hair to calm down the frizz, so I wouldn’t recommend this to anyone who has oily hair. 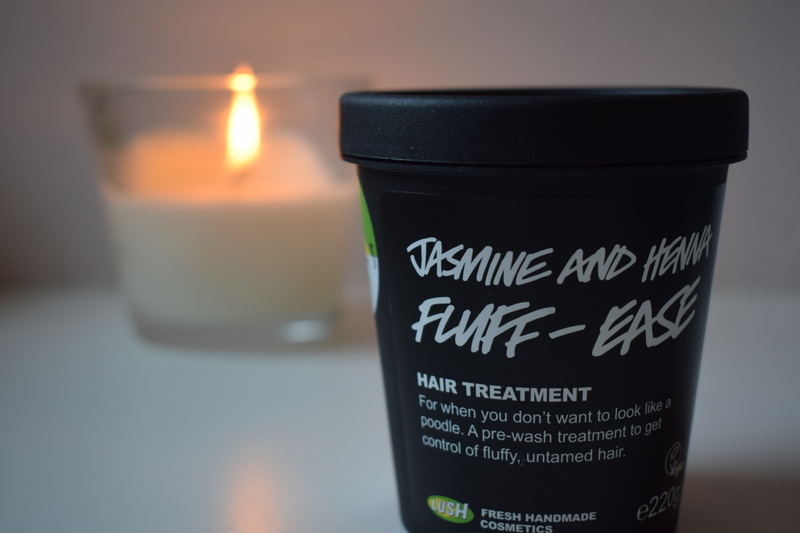 Firstly it smells of my all time favourite sweets Parma Violets which is pretty fab, but it also stops my hair looking like a massive frizz-ball! I use it on wet and dry hair, and it works a treat! Let me know what are your favourite Lush haircare products and if there are any I should go and a try! I’m not too familiar with their hair products, except for their Sugar Daddy-O conditioner, which I love, and R&B, which I didn’t love. The Fairly Traded Honey sounds heavenly though, and honey is good for so many things. Thanks for these tips, gives me yet another reason to pass by a Lush store next time I’m in town. Would you be interested in sharing your work on Creators.co? I’m currently on a personal mission to expand the Lifestyle section of the platform, and i’m therefore looking for people with an interest in writing and who are looking to increase their readership. Let me know if you’d be up for that. Feel free to shoot me an e-mail for more information, you can find my contact details on my blog. Would love to hear from you.